The Vikings head into the '18 season facing depth issues on the defensive line. In '17, the team started out strong up front, but faded towards the end of the season. This led to a complete collapse in the playoffs. I took a closer look at what lead to the d-line fading down the stretch. 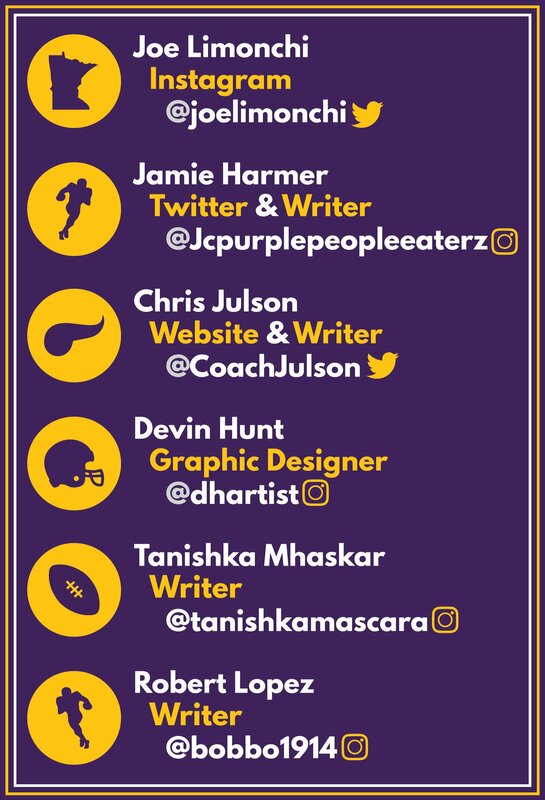 The numbers below represent the snap count by individual players in '17. When your scheme calls for the teams front four to rush the QB on every down, it's imperative that you're able to rotate. The old saying "keeping fresh legs in the fourth" is 100 percent accurate. Basically, the team ran out of gas up front around week 15, and were cashed come playoff time. The main reason I feel this happened was do to coach Zimmer not trusting his depth or lack of at the position. Let's step back into the now, and see what the current roster looks like. Let's bounce outside, and talk defensive end now. Griffen and Hunter will be the main guys again this year. Griffen ended up with a team high 13 sacks last year. (most of which came before week 10) Fans say Hunter's numbers dropped off, but what I seen was a more complete player. Hunter was much more effective against the run in '17. He sealed off the edge well, and wasn't as quick to over run a play. So basically the starting front four will be a nasty group, but what about depth? As much as I hate to say it, the Eagles were able to dominate teams by keeping their guys fresh. In '18, the Vikes will need to do the same to keep from having a gassed d-line. It all comes back to having quality depth, so you can keep fresh legs using effective rotation. The key word here is effective. Looking at who the Vikes have now, I'd like to see Bower and Johnson take a step forward in '18. Bower is raw, he's a rush end through and through. 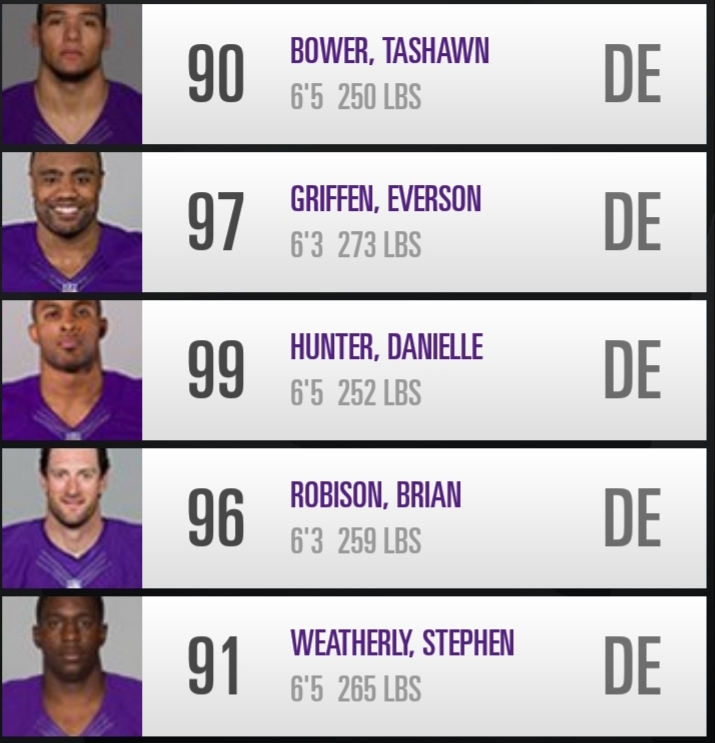 Under the guidance of DL coach Patterson, I think Bower could become a solid go to, spelling Griffen when needed. I'm still a big fan of Brian Robison, and think he can still get to the QB if used in limited rotation with Hunter. Now it's time to see how the Vikes can keep the middle of the d-line fresh. 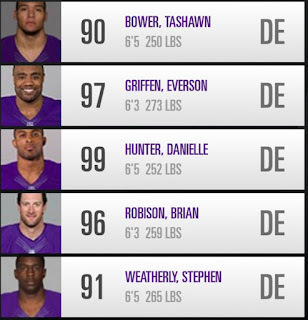 As I mentioned earlier, the Vikes lost two defensive tackles. Jaleel Johnson has potential to be a very disruptive player, and maybe used to spell Richardson at the three tech spot in '18. 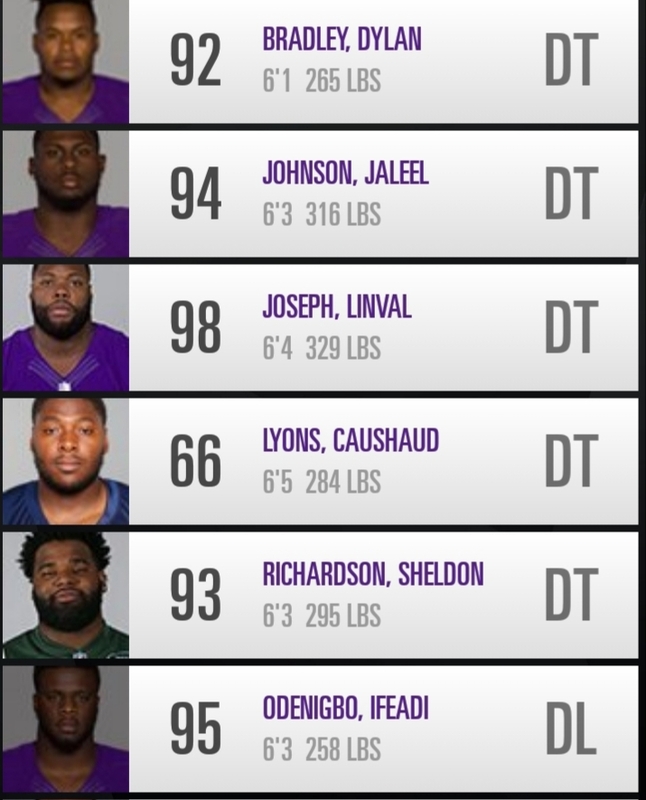 Who will give big Linval a rest though? Glad you asked. For depth help, I think the Vikings look toward the draft. One player that I would love to see the Vikes pick is NC State's DT B.J. Hill. Hill's playing style is a bit like Joseph's. He shows great gap control, and has pop at the point of attack. Like all rookies coming into a complex defense, he will have hiccups, but I feel Hill could see the field as a rookie. If he's there in the 3rd, I think the Vikes need to pull the trigger. Building a dominant defensive line is more than four players, it's a combination of depth by using effective rotation. Being able to keep the legs fresh without a drop off in on field production is the end goal. 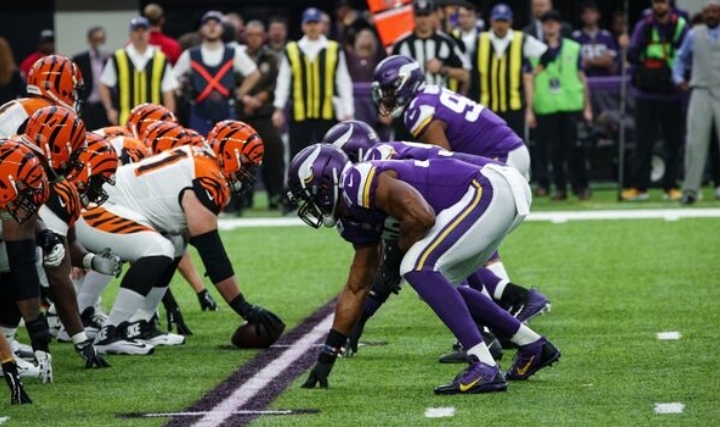 Can the Vikings keep the pressure coming for 16 plus? Only time will tell.